Welcome to the Creative Inking Blog Hop! 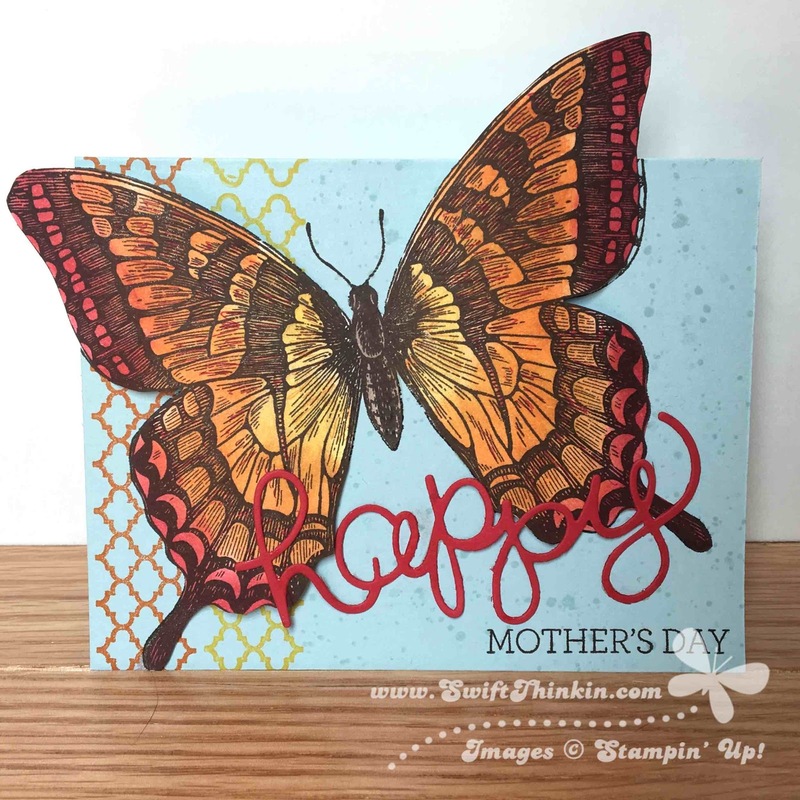 Now, with my love of all things butterfly, the Swallowtail stamp is the retiring favorite I will be missing the most. Just take a stroll on Pinterest to see some of the beauties made with this image and you'll see why I'm having a hard time letting it go. My card was given to Mom on Mother's Day, but you could really use this design for any card. 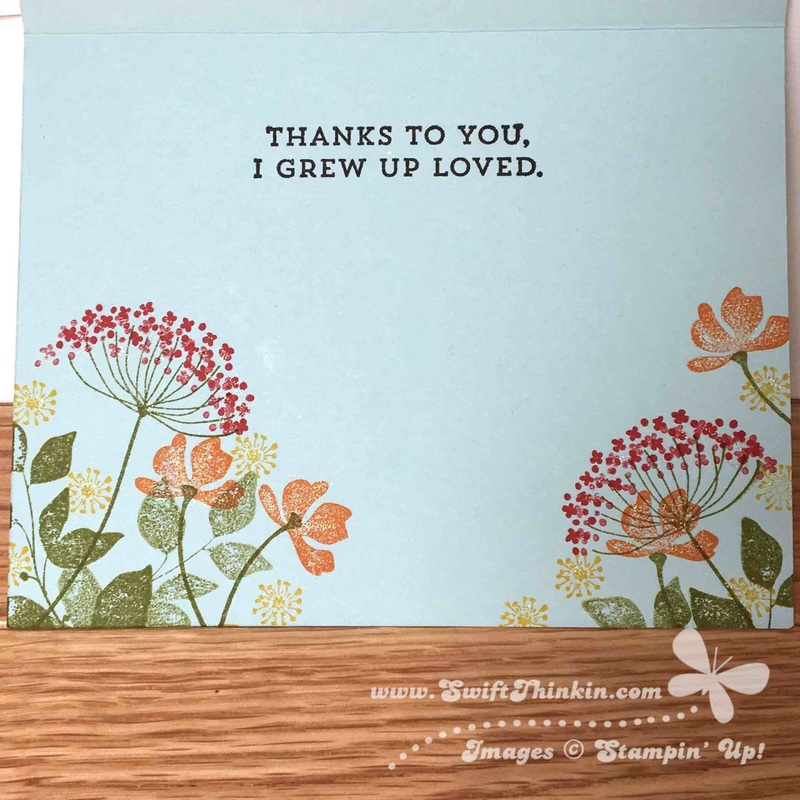 Switch it out to say "Happy Birthday" or "Thanks" or any of the other sayings you can think of using the Crazy About You stamp set and Hello You thinlits. I love how the butterfly really looks like it is flying off the page :) I stamped the Swallowtail in Espresso and used sponge daubers to add color to it. Then I cut it out and mounted it on the Soft Sky background only along the body. I curled the wings off the page using a bone folder. And can you see the shimmer added by Wink of Stella? That product isn't retiring, but is a must have for everyone!! 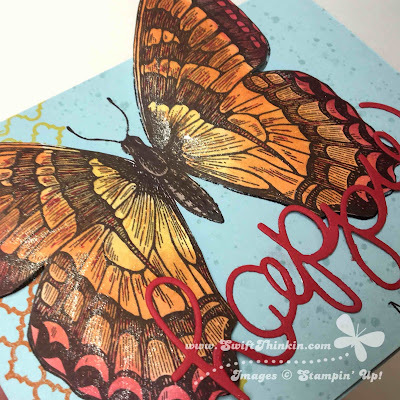 The lattice work on the front, and the inside of the card I created using Summer Silhouettes stamp set, which is another favorite of mine that is retiring. This set was one of the first things I ordered the year it was introduced! 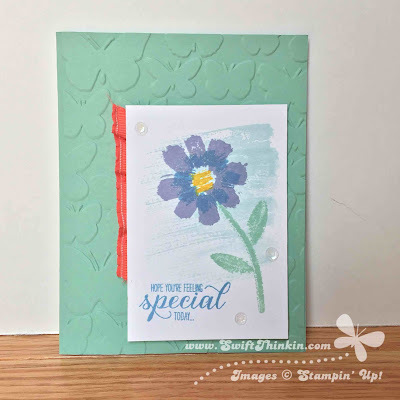 It is so fun to build the bursts of flowers using the stems, different petals, and leaves available in this set. Once again, they wouldn't be complete without a little 'wink'. I think I may be a tiny bit addicted to this beautiful tool. Hehe! I hope you enjoyed today's card. Be sure to flutterby again soon! Now hop along and enjoy the projects everyone has created for you! 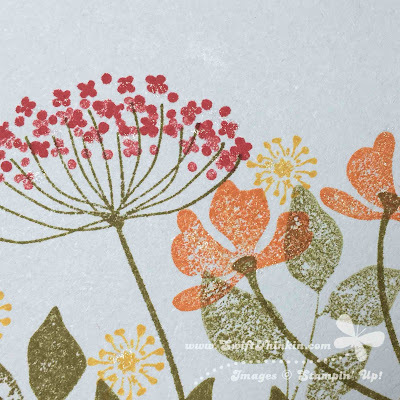 Last month Paper Pumpkin celebrated it's birthday and milestone subscriber count by including an extra stamp set "All About Everything"- and I like 'everything' about it ;) It has some beautiful watercolored flowers in it, and lots of fun sayings centered around the word 'everything'. So much fun! I pulled it out to make a quick Mother's Day card for my mother-in-law (you'll see my mother's card here very soon...). I am just ticked pink with how it turned out! I stuck with a spring pastel color palette, and then added a pop of color with a piece of ruffled ribbon I had left-over. I love the butterfly texture folder in the background too- I think it adds just the perfect amount of dressiness. Instead of using a sentiment from the 'everything' kit, I opted for a something a little more traditional for the mother's day purpose. 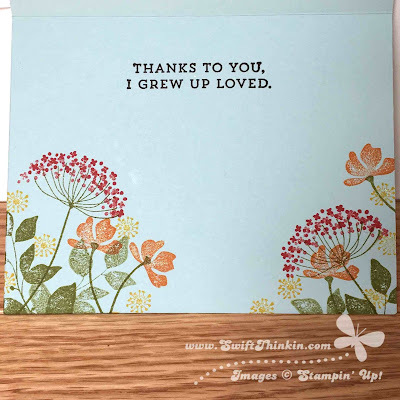 I found the perfect saying in the Garden in Bloom stamp set. "Hope You're Feeling Special Today...". Isn't that just cute for the occasion?! Flutterby again soon! The next Creative Inking Blog Hop is just around the corner.